Not only do cannabis nodes act as pruning guides, but these stem joints can point out temperature and light problems throughout growing. Cannabis plants, like all plants, grows in spurts. New foliage and budding sites stretch out of older and stronger material at a junction known as a node. Eventually, this growth process creates multiple layers of roughage and branches that can be shaped and trained. 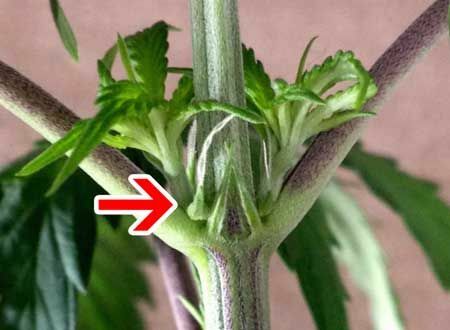 Cannabis nodes are important for pruning, but there are a couple of additional reasons to pay attention to these joints. Here are three things your cannabis nodes are telling you. Nodes are the joints that connect new stem offshoot with older growth. They are the stems of the plant, branching off from the main stalk and eventually creating small branches and new budding sites. The node directly below the main flower is called the apical meristem. Between node lies the internode. An internode is simply the space between nodes, or, put another way, the distance between new stems of the plant. The greater the length of internodes, the more spindly the plant. Strains that have a reputation for “stretching” have long internodal distances. Cannabis plants begin to preflower between three and six weeks into the vegetative phase. 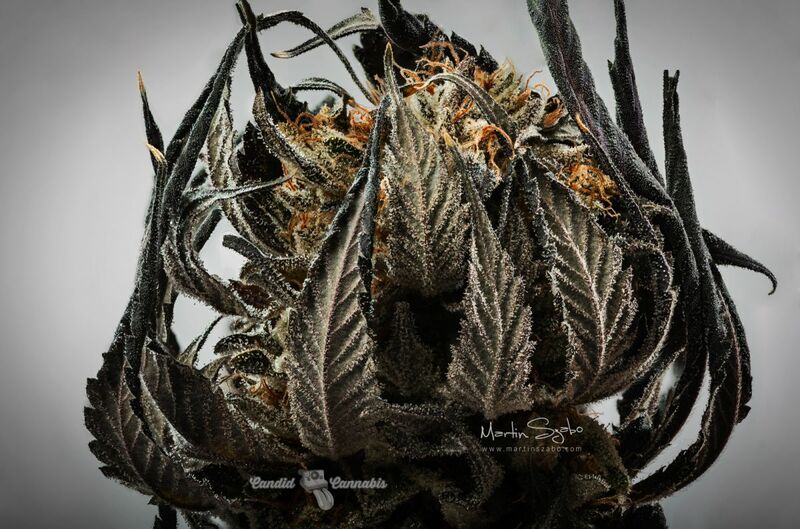 These preflowers will either produce a long, white pistillate hair or a small, closed bud. Preflowers with long pistillate hairs are female flowers, while those without are male. Look for these preflowers in nodes located near the top of the plant, closer to lights or the sun. Nodes can tell you when a plant is ready to prune. Pruning can start as soon as two to three weeks into the vegetative cycle, depending on the strain. The plant should have several internodes before taking scissors to the stem. Various pruning techniques rely on making cuts at certain nodes. When topping, for example, many growers make cuts to the main stem slightly above a node at a location where the main stem is fairly strong and sturdy. Then, the primary stem develops into two main branches, which go on to develop sizable colas. Pruning at the nodes helps growers control where the next branches will develop, thereby increasing the overall yield of the crop and managing size for shape for a specific growing environment. Too much distance between internodes is not a good thing. Some strains, like sativa varieties, may naturally grow taller and stretch more than other strains. However, if the internodal distance is too long, branches and stems become weaker. This means that buds will have to be supported during flowering, with the risk that the branches will snap otherwise. If the distance between nodes becomes too long, it may be time to adjust the temperature (if indoors). When the plant sees a too much of a temperature change at night, nodes will likely become longer and weaker. Conversely, warm nights and cool days shorten the internodal distance. Many growers lessen the difference between daytime and nighttime temperatures to shorten the internodal distance and increase strength. However, checking the lights is also important. Poor lighting can make a strain “stretch” toward the nearest energy source, increasing the distance between nodes and weakening the plant. Nodes are also important for cloning. When taking a clone from a mother plant, many growers take cuttings from branches at least three nodes from the top cluster of a plant. Some of the strongest clones come from healthy offshoots on lower branches of the cannabis plant. To clone, most cut the stem slightly above a node joint on a substantial branch that has vigorous growth.